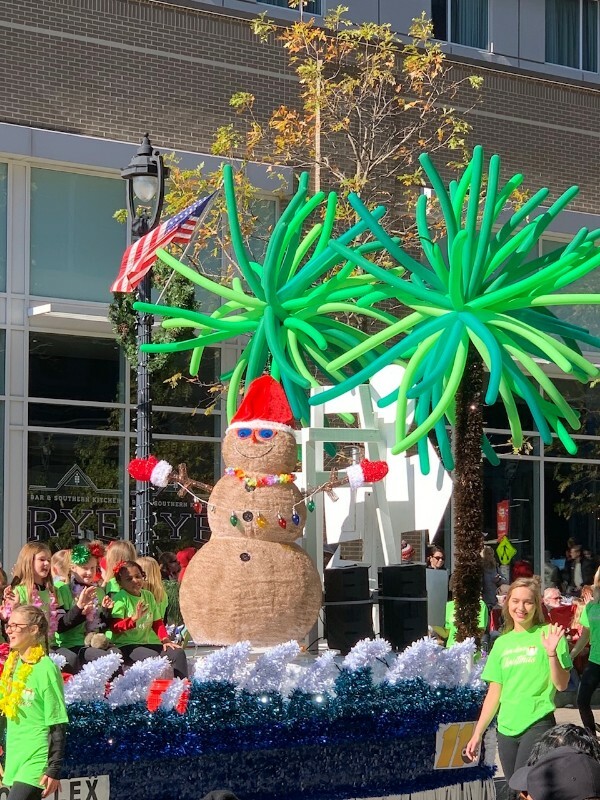 The annual Raleigh Christmas Parade took over Downtown Raleigh the weekend before Thanksgiving and if you weren’t there as a performer or spectator, you may have missed it. But don’t worry. 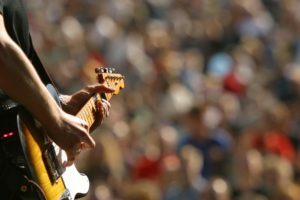 You can watch the entire parade or stream it on your smart TV any time you want! This would be a fun way to spend Christmas morning if you love having a parade on in the background while you cook. 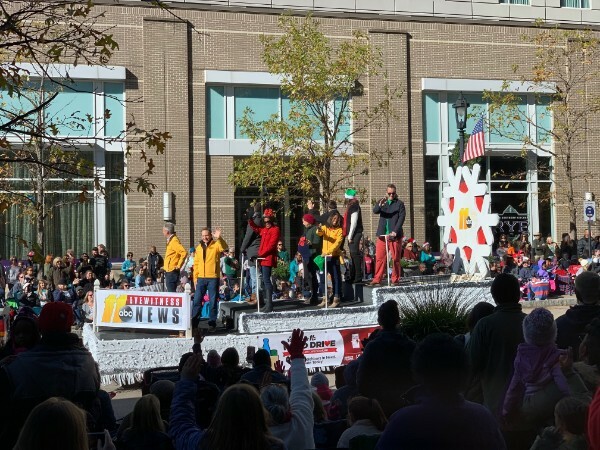 We had a great time at the 2018 Raleigh Christmas Parade taping. 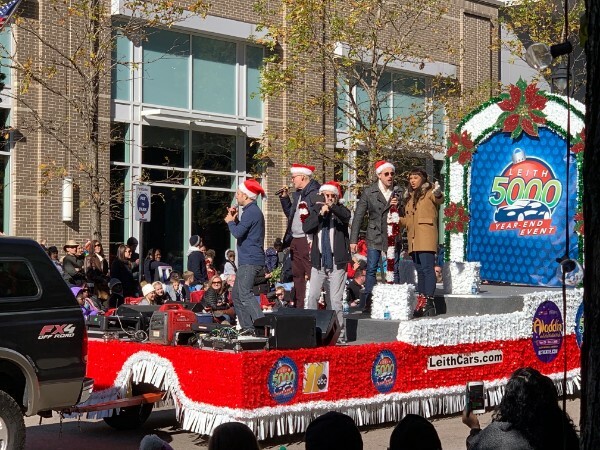 It was a beautiful day and it was so great to welcome the holiday season with a few thousand of our closest Raleigh friends. North Carolina knows how to bring the fun. And this parade had no shortage of fun at 2.5 hours long. Everyone did a fantastic job from the dancers to the marching bands and the festive ballons and floats.Here are a few of our favorites. 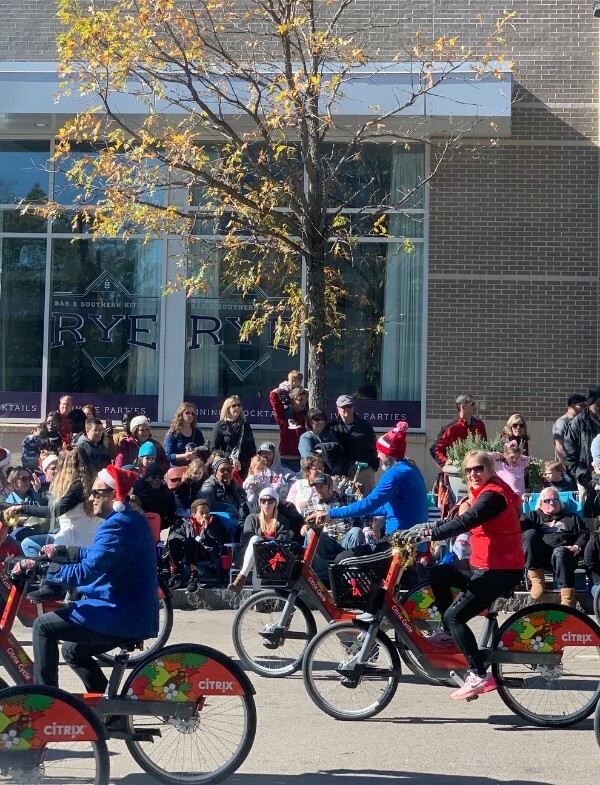 We thought it would be fun to share some parade highlights here, but if you want to watch the whole thing you can. Just scroll to the end to see the full video from ABC11. Welcome to Raleigh, Citrix Cycle. Check out the newest mode of transportation in town. Stations have been installed all over town and a bike is ready and waiting for you. Loved seeing all these riders this year. 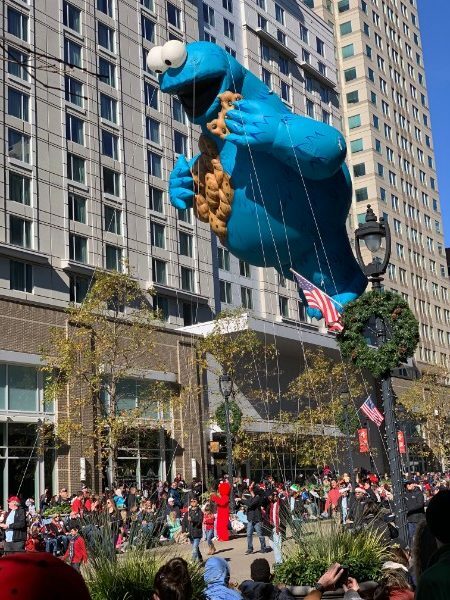 There weren’t quite as many balloons this year compared to the past few, but cookie monster did not disappoint. 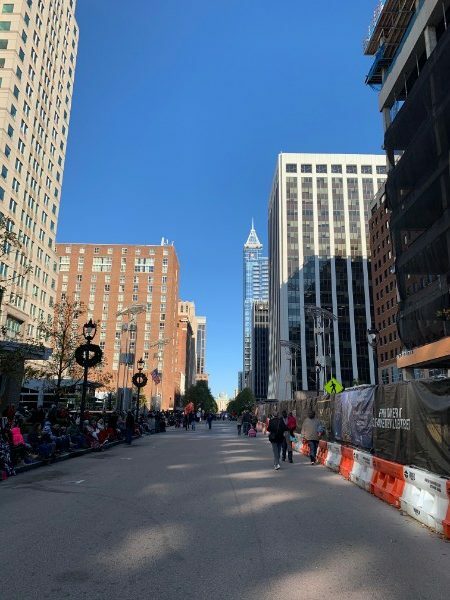 There’s nothing like watching a parade balloon float down Fayetteville Street. It looks so effortless but you can thank the many volunteers who carefully work together to make it happen. This snowman has the right idea. It’s getting colder but we’re still dreaming of summer. Great job to all the dancers at CC & Co. Dance Club! Parades are fun to watch in person, but I also love watching them on Christmas morning. 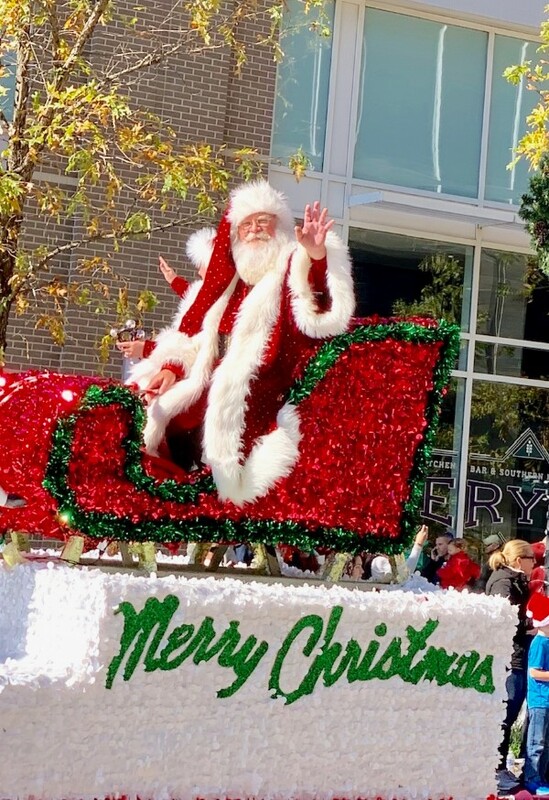 You can watch the 2018 Raleigh Christmas Parade online any time you want thanks to ABC11. Just press play. 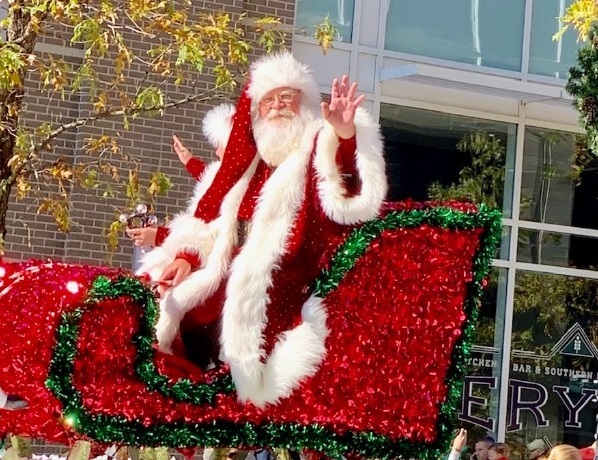 Our fun Christmas parade always ends with a visit from the man himself and so does this coverage. Merry Christmas everyone! Wishing you a fun and festive holiday season.